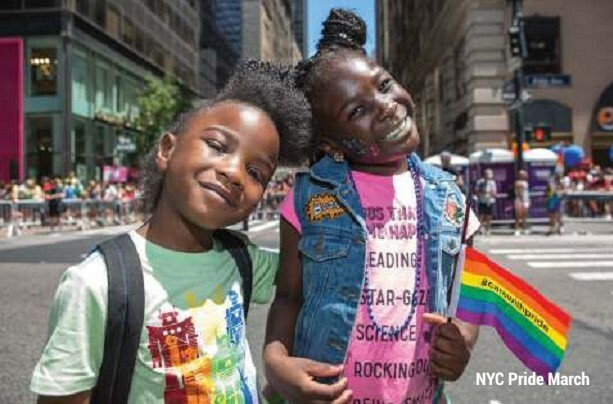 New York City hosts WorldPride 2019 for the entire month of June as part of the 50th anniversary of the Stonewall uprising. I take some comfort in the fact that in a time of global fragmentation, WorldPride, which highlights LGBT causes on an international scale, is still going strong since its inaugural 2000 event in Rome. This year, New York City gets to host the party, which is itting since the Big Apple is still the most popular destination for LGBT travelers, according to the latest travel survey from Community & Marketing Insights (CMI). This year marks the 50th anniversary of the Stonewall uprising, widely regarded as the beginning the modern gay rights movement. The year 2019 marks the irst time that WorldPride will be celebrated in the United States, and the timing couldn’t be better. The world’s media capital will provide a itting backdrop for this year’s Pride events: Not only are we celebrating our LGBT identity but we’re joining together to defy all the attempts to roll back our rights, even as right-wing administrations gain prominence around the globe, including here in the U.S.